Erin has been employed with the ASPCA Animal Poison Control Center (APCC) since 2006. She earned her associate’s degree in applied science in veterinary technology from Parkland Community College and her bachelor’s degree in applied science in veterinary hospital management from St. Petersburg College in 2016. Erin’s interests include toxicology, but her true passion is sharing knowledge and educating veterinary staff. She has been an instructor for a toxicology continuing education (CE) course for the Veterinary Support Personnel Network and has spoken at several APCC CE conferences. Erin has had peer-reviewed articles published in Veterinary Technician, the NAVTA Journal, and Veterinary Medicine and has authored a chapter on the renal system in Small Animal Toxicology Essentials. Decontamination is not required for all poison exposures. 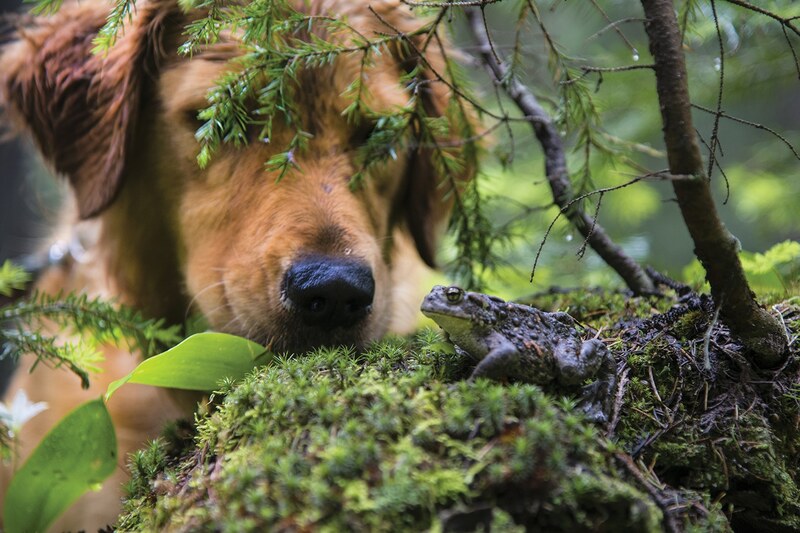 MANY DOGS VIEW TOADS AS PREY and catch them in their mouths. All toads can secrete a toxic chemical that is absorbed through the mucous membranes in a dog’s mouth. Some toads, such as the Colorado River (Bufo alvarius) and cane toads (Bufo marinus), secrete toxins that are more potent and pose a higher risk for systemic signs. A dog that has bitten a toad will require oral rinsing. Oral rinsing is the process of flushing the mouth with water to remove or decrease the amount of toxin ingested or absorbed through the mucous membranes (e.g., a dog that has bitten a toad), thus reducing systemic toxicity. Depending on the toxin, the mouth should be rinsed with tepid water for at least 5 to 10 minutes. The mouth can be flushed using a garden hose, a rinse attachment for a sink, or a detachable shower nozzle. It is best not to squirt the water directly into the back of the throat because of the risk for aspiration. The water source should be positioned at the commissure of the lips and directed rostrally. Preventing a pet from drinking water entering the mouth is impossible, so as long as most of the water runs out of the pet’s mouth and onto the ground, oral rinsing is achieved. Oral rinsing is also used when a patient has developed a taste reaction after licking a product such as a topical insecticide. Offering a small amount of water, milk, canned food, or juice drained from canned tuna or chicken helps rinse a bad taste out of the patient’s mouth. Contraindications. Oral rinsing should not be performed in an animal that cannot swallow or that is unstable (e.g., experiencing tremors, seizures, or dyspnea; obtunded; recumbent), unless an endotracheal tube is in place to prevent aspiration. Dilution is indicated when an irritating or corrosive substance such as a cationic detergent (e.g., fabric softeners, potpourri oils), acid, or alkali (e.g., cleaners) has been ingested. Offering a demulcent, such as milk or plain yogurt, can soothe and relieve irritation of the mucous membranes; demulcents form a protective film in the mouth.2 Administering too much diluent can cause the stomach to distend or lead to vomiting, which can reexpose the esophagus to the corrosive material and potentially cause aspiration.1,2 A general rule to follow when recommending diluents to dogs and cats is use a volume similar to that recommended for hydrogen peroxide (H2O2) in dogs (1 mL/lb).2 Clients who are not medically trained may feel that more is better, so when speaking to clients, it is important to recommend a specific diluent and amount to administer. During the decontamination procedures, veterinary technicians should remember to use proper safety measures and wear personal protective equipment such as gloves, an apron, and goggles. Clients should be educated about poison prevention, and the clinic should establish a pet poisoning protocol so the veterinary team knows how to proceed with decontamination when clients call or present a poisoned patient for treatment. When in doubt, the toxicology professionals at an animal poison control center can assist veterinary staff or clients with the decontamination process. aWismer T, DVM, DABVT, DABT, MS. Personal communication. 2016.
bWegenast C, DVM, CVCT; Cripe E, DVM, CVCT; DeClementi C, VMD, DABT, DABVT. ASPCA Animal Poison Control Center. Personal communication. 2016. ASPCA. DeClementi C. Prevention and treatment of poisoning. In: Gupta RC, ed. Veterinary Toxicology: Basic and Clinical Principles. 2nd ed. Waltham, MA: Academic Press; 2012:1361-1368. Murphy L. Decontamination procedures. In: Poppenga RH, Gwaltney-Brant SM, eds. Small Animal Toxicology Essentials. Ames, IA: Wiley-Blackwell; 2011:51-53. Lee JA. Decontamination and detoxification of the poisoned patient. In: Osweiler GD, Hovda LR, Brutlag AG, Lee JA, eds. Blackwell’s Five-Minute Veterinary Consult: Small Animal Toxicology. Ames, IA: John Wiley and Sons; 2010:5-19. Peterson ME. Toxicologic decontamination. In: Peterson ME, Peterson PA, Talcott PA, eds. Small Animal Toxicology. 3rd ed. St. Louis: Elsevier; 2013:73-83. DeClementi C. Decontamination of patients after oral exposure to toxicants. In: Côté E, ed. Clinical Veterinary Advisor: Dogs and Cats. 3rd ed. St. Louis: Mosby; 2015:1139-1140. Plumb DC. Dexmedetomidine. In: Veterinary Drug Handbook. 7th ed. Ames, IA: Iowa State Press; 2011:298-300. Thawley V, Drobatz K. Assessment of dexmedetomidine and other agents for emesis induction in cats: 43 cases (2009-2014). JAVMA 2015;247(12):1415-1418. Plumb DC. Docusate. In: Veterinary Drug Handbook. 7th ed. Ames: Iowa State Press; 2011:348-349.